Celina has designed this particular tent with an elegant high peak and smooth curves that give it a modern appearance. 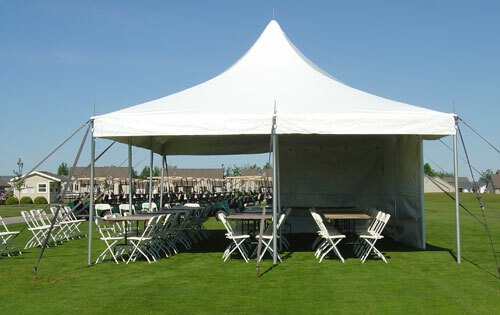 Tough enough to withstand even commercial and rental use, the top is made from a 16 ounce vinyl with bonded top panels. In addition, 95% of the top is bonded with heat-sealed construction and is equipped with reinforced patches at the crowns. The set up of this tent is designed to be so simple that with very little instruction and no installation experience, you can easily assemble your tent.